"We're disappointed to lose a player"- McDonald. 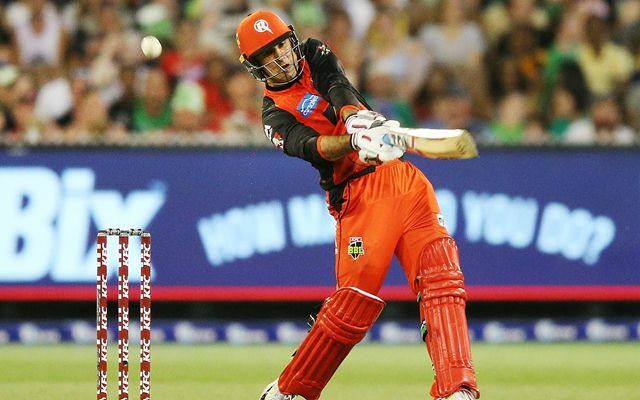 Ahead of the knockout games in the BBL 2018-19, the Melbourne Renegades have suffered a massive blow. Afghanistan cricketer Mohammad Nabi, who has been a crucial part of their plans thus far, will not feature in the semi-final and final games. In 14 games thus far, Nabi scored 228 runs and played a couple of match-winning knocks as well. He picked up 8 wickets with the ball at a fairly good economy rate. The all-rounder, who added a great balance to the Renegades, will miss out on the most crucial part of the tournament. Mohammad Nabi will fly to India to join his Afghanistan teammates. The side is all set to play a full-fledged series against Ireland that starts on February 21. A total of 3 T20I, 5 ODIs and one Test will be played in this series. All the games will be played at the Rajiv Gandhi International Cricket Stadium in Dehradun, which is the adopted home ground for the Afghanistan cricket team. Melbourne Renegades’ coach expressed disappointment about Nabi having to leave Australia. However, McDonald seemed to be confident about replacing Nabi with another player. He noted that the Renegades have got good depth in their squad. He further added that it gives some other player an opportunity to contribute in the important matches.